Emailing Sage Payroll P60 files - Error with the address user@domain: unknown error. 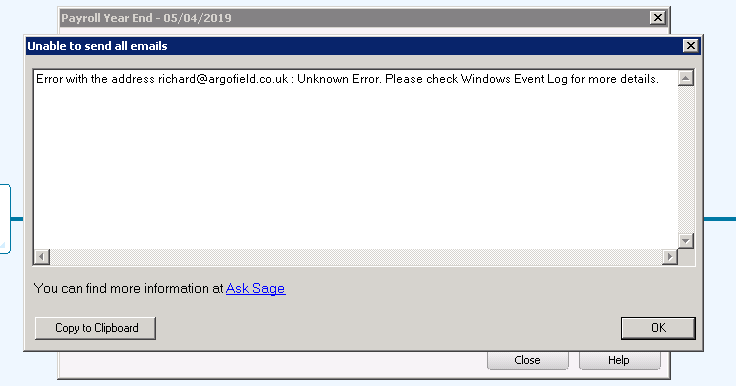 When I am trying to email a P60 for Payroll year end in Sage, I am having an issue shown below. No profiles have been created. 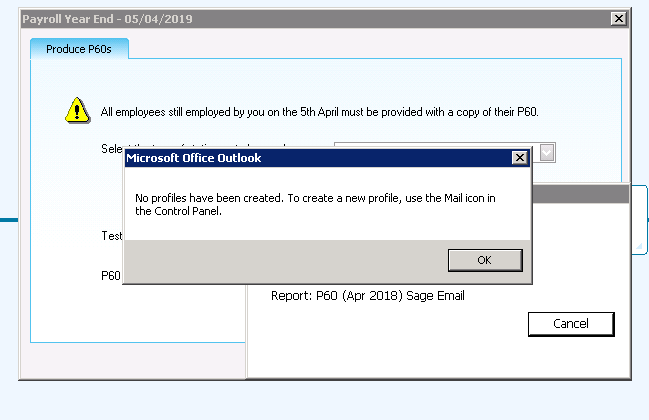 To create a new profile, use the mail icon in the Control Panel. The Outlook 2007 profiles needed to be configured and be set to 'Password/NTLM' to connect to Exchange 2007 on the advanced settings under the security tab.